I didn't realise how much history there was in Split, there are buildings that date back from the 4th Century AD. 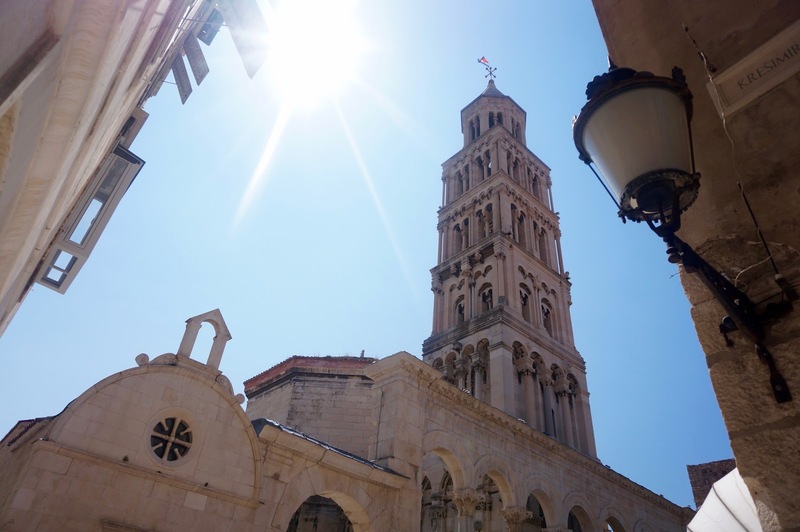 In the Old Town is Diocletian's Palace, an ancient palace built by the Roman Emperor. It was awe inspiring to explore the palace walls, narrow streets and impressive ruins. Split have embraced the Palace and there are restaurants and cafes within the palace walls and courtyards as well as Air Bnb apartments, which is where we stayed. It was amazing to feel the history as you walked around, it's so embedded within the town. A must see! There are so many lovely square in Split and the Peristil Square is definitely a stand out with the Cathedral and Roman columns. It's the central square within Diocletian Palace and full of character and history. There are cushions you can sit on the side to enjoy the passer byers as well as live music in the evenings. There is a cafe within the square and a great spot to relax and enjoy the view. You might also be lucky to catch some open air theatre there in the evening. 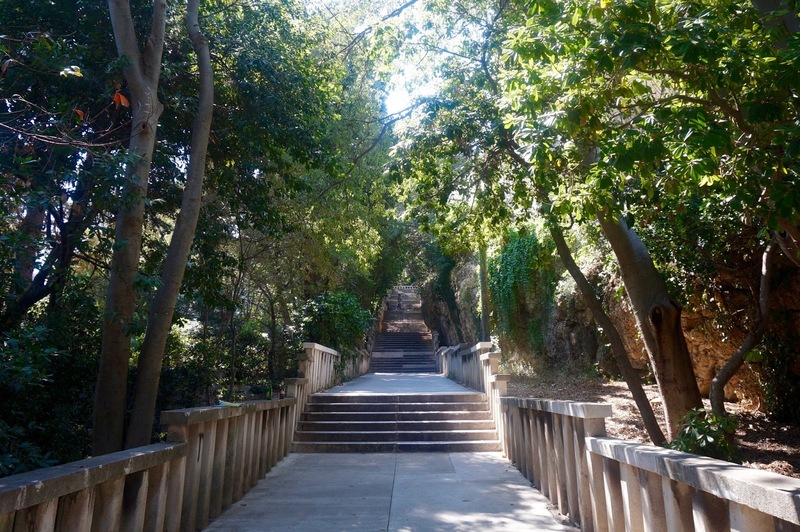 If you want a break from the hustle and bustle of Split, you can take a walk up to Marjan Park. It's about 15 minutes walk from the main square and the stairs leading up can be quite tiring in the heat but it's a good amble to stop off to enjoy the view. It was really nice to be surrounded by the immense green pine forest. There are lots of benches along the way to sit and relax, a cafe en route as well as ancient chapels. You could spend hours up here! 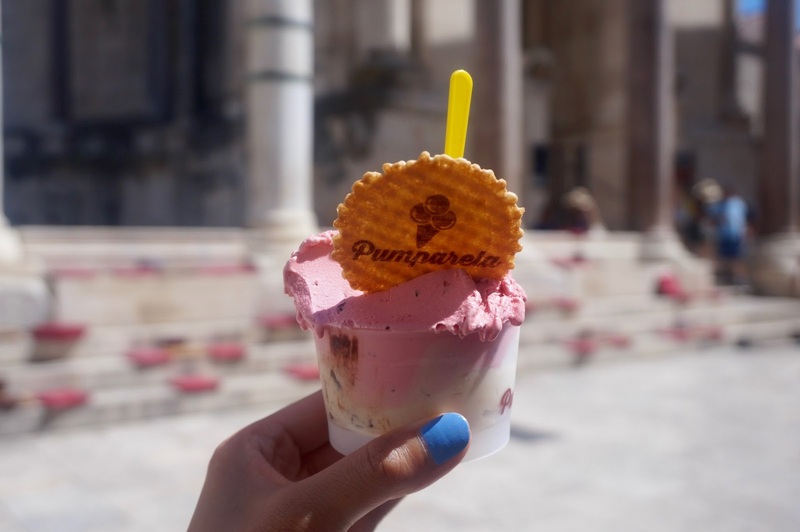 You can't go to Split without enjoying some gelato! You're spolit for choice with gelato counters everywhere. My favourite flavours were tiramisu and frutti di bosco, most places cost about 18 Kuna (£2) for 2 scoops so eat your heart out. Just beware they melt super quick in the heat, one melted down my arm in 30 seconds! If you want a no frills sandy beaches and have a splash in the sea, bacvice beach is not too far away. It does gets extremely crowded with people and sun loungers everywhere but is a lot of fun for everyone to relax in the sun, play games and enjoy the music from the bar. Lively atmosphere and only 15 minutes from the City center. 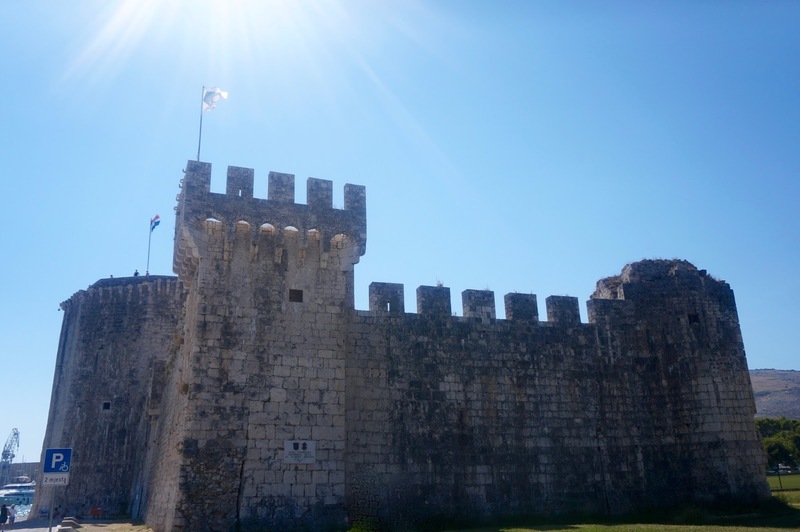 If you want to explore another close by town, I would recommend a bus ride to Trogir. 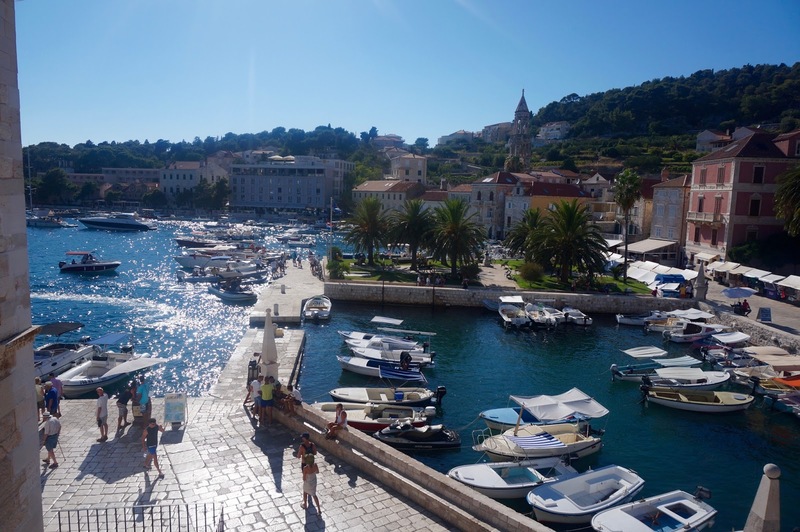 It's on the coast and a totally different vibe to Split, calmer, slower and more relaxed. You can get a bus from the bus station by the harbour at Split for 25 Kuna (£3) and takes about 25mins. You can explore the Cathedral of St Lawrence and go up the Bell Tower, Kamerlengo Fortress and stroll along the canal. We also enjoyed a delicious lunch at Verjanka. 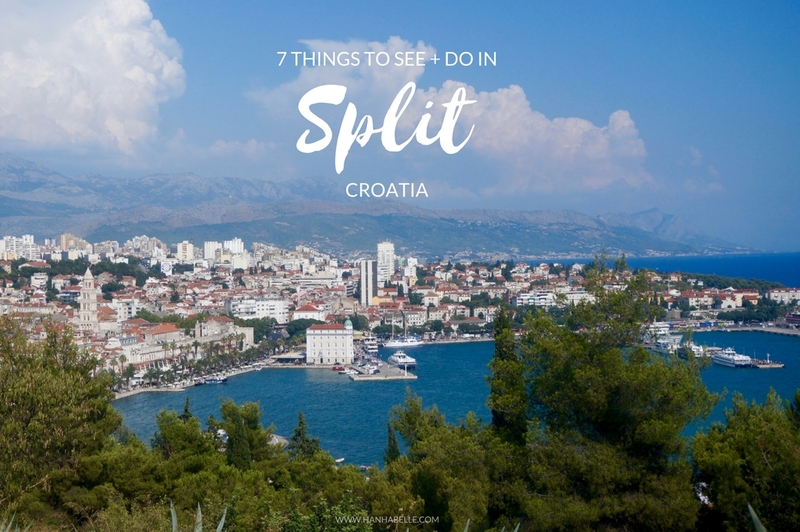 I really hope you enjoyed this post and will come in handy if you visit Split! Feel free to 'Pin' the images for future reference. 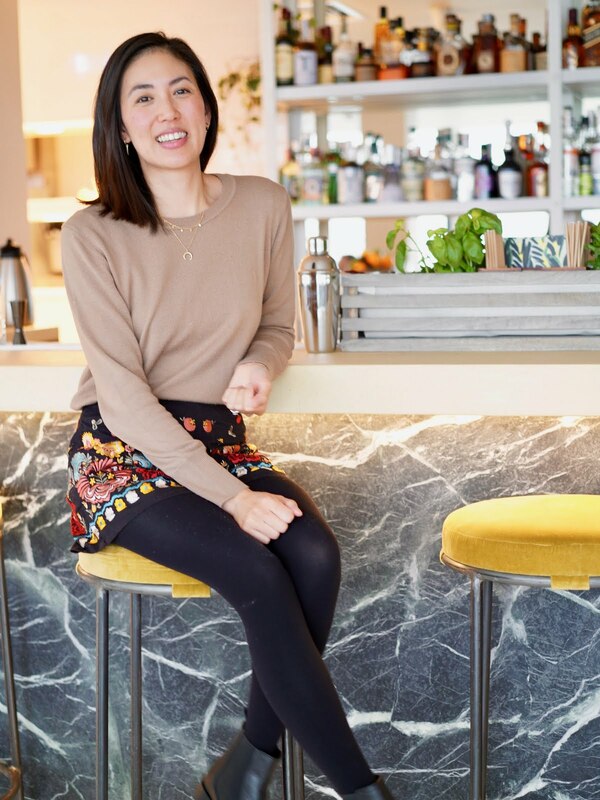 I find blog posts and Pinterest so handy when researching for holidays. I've also done a post on Plitvice Lake National Park in Croatia if you fancy a read. Have you been to Croatia, what were your favourite parts? Do you like the sound of Split?